This paper knife has an ivory blade with a section of the 1858 Atlantic cable as its handle. 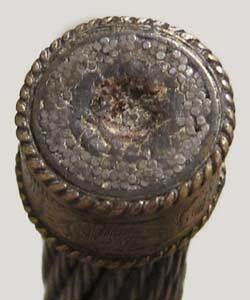 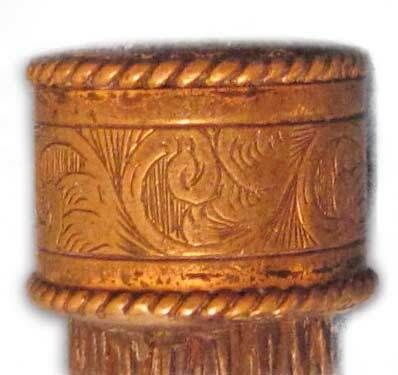 The ferrules have cable-twist edges and are engraved with decorations suggestive of ocean waves. 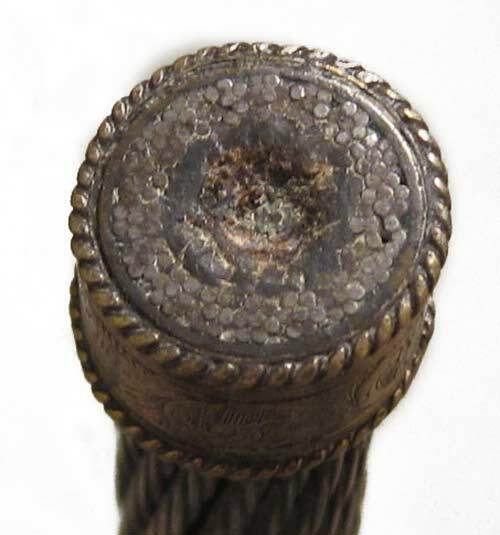 19th century desk tools such as this were used for opening the pages of untrimmed books, folding newly-written letters without smearing the ink, and turning newspaper pages to avoid getting ink on one’s hands.